Older people are particularly affected by too much sleep, with those sleeping longer than average doubling their risk of a stroke. The ten-year-long study followed the sleeping habits of almost 10,000 British people between the ages of 42 and 81. While 70% reported sleeping between six and eight hours a night, 10% slept more than eight hours. The researchers found that people who had too much sleep (more than eight hours) had a 46% greater risk of suffering a stroke. Other factors that might have affected their chances of having a stroke were adjusted for. The highest risk was for those who had begun sleeping for longer with age. The study was published in the journal Neurology (Leng et al., 2015). “It’s apparent both from our own participants and the wealth of international data that there’s a link between sleeping longer than average and a greater risk of stroke. 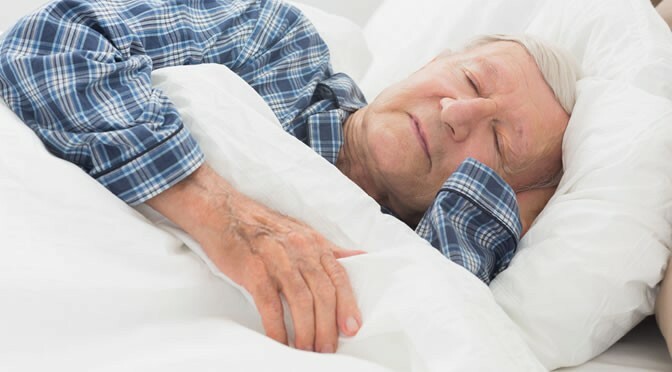 Although older people often have the option to sleep longer, in general average sleep duration typically gets shorter with age. The reason for the link between too much sleep and stroke risk is not yet clear. Lack of sleep has clear links to stroke risk because of the increased production of the stress hormone cortisol. This leads to increased blood pressure and so higher risk of a stroke. “We need to understand the reasons behind the link between sleep and stroke risk. What is happening in the body that causes this link?